Good Question! With all the recent Brexit mess, I am sure you’re wondering why anyone would choose the UK as a study destination at the moment. Despite our politicians, the UK remains a world class destination for studying at all levels. Some might say that the combination of terrible weather and mediocre food has been a driving force for the British to develop superior educational institutions, for what else is there to do when its always raining, but we think you’ll find there is much more to studying in the UK than umbrellas and fish and chips. While Oxford and Cambridge often come to mind when thinking about the UK’s world leading education institutions, and its true that they ranked as number 1 and number 2 in the latest 2019 World Universities rankings, it is often overlooked that the UK also has a number of the worlds leading Colleges and Secondary schools as well. And before you ask, yes, we are training many more chefs and dentists, but one step at a time. While the weather may be dull at times, the UK still leads the world in exciting research and innovation. While everyone was watching the Brexit debate, we managed to secure more than £1 billion in funding for research and innovation projects around the UK. These investments are not only providing for interesting education opportunities but also a strong jobs market for students once they have completed their course. Leaving the EU and the common employment market means that now more than ever the UK is looking to recruit students and employees to the UK and as this fact slowly dawns on our slow politicians, gaining a place at UK schools, colleges and universities is becoming easier and easier. The recent government White Paper on Immigration reform has confirmed that post-Brexit, the government intends to overhaul the immigration system completely and ensure that those migrants with the skills needed by the UK will be first in line. That means visas will be easier to obtain for both working and studying in the UK. 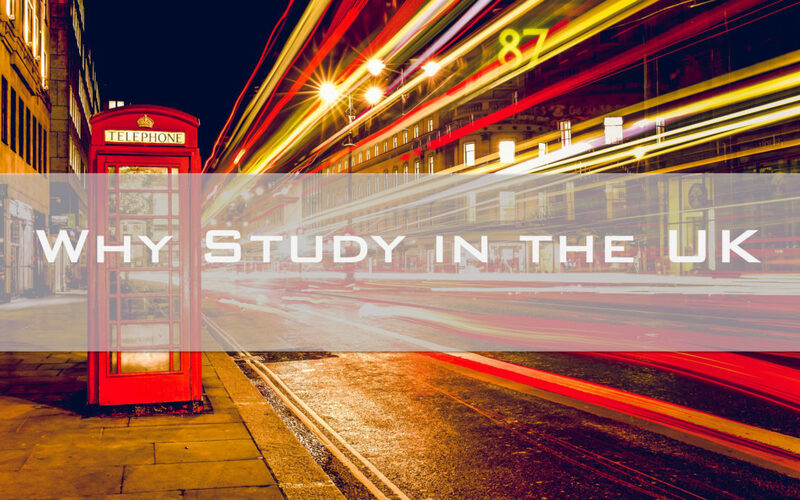 Check out our page on how to study in the UK and how to get a student visa for further information. If you’re looking for online learning opportunities, you can also check out our Online Learning Course which allows you to graduate with a fully recognised level 3 Diploma in Health and Social Care.